Sardar Vallabhbhai Patel was a popular political and social leader, and helped India gain independence from Britain. Towering an astonishing 182 meters above the Narmada River in the Gujarat state, western India, the monument of Sardar Vallabhbhai Patel will be the world’s tallest statue once it is unveiled on October 31. More than 1,850 metric tons of bronze where used to model the giant statue, called the Statue of Unity. Back in 2013, the countries prime minister, Narendra Modi said that “in the world, people talk about America’s Statue of Liberty. We want to make a statue of Sardar Patel at twice the size of the statue of Liberty.” The Statue of Liberty in New York is just 93 meters high, if you include its pedestal. The project is estimated to have costed more than $410 million, a price so high it pushed the committee overseeing construction to ask for public donations to be able to finish the project. 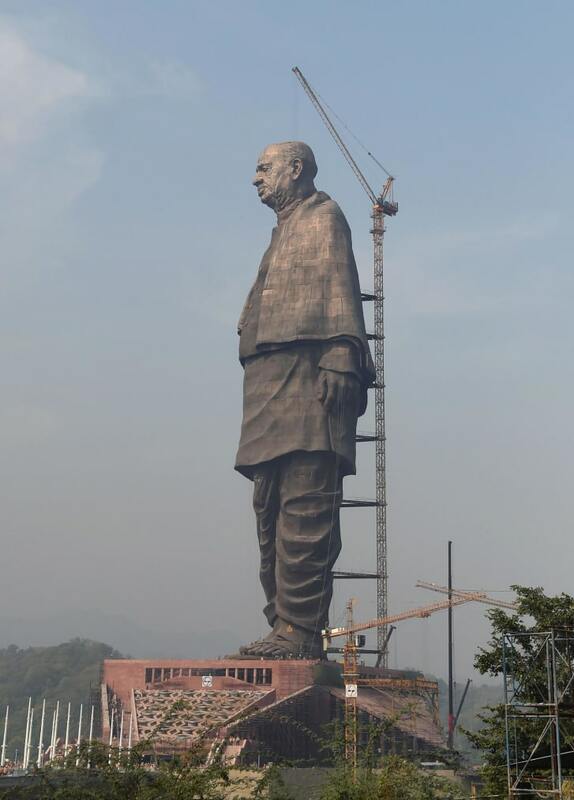 Recent images of the Statue of Unity show that it is almost complete, with Indian workers putting the final touches. This is not the only Indian statue set to break records. A statue dedicated to Shivaji, a historic Maharashtrian warrior, is being built in the Arabian ocean, just off the coast of Mumbai. It will be 212 meters-tall once completed.